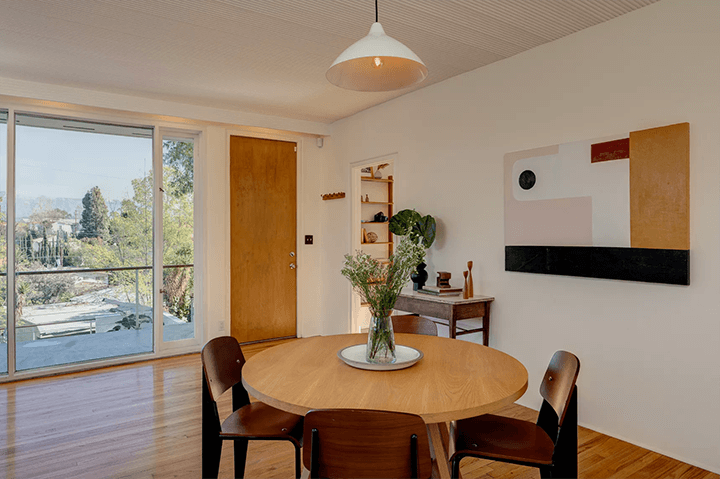 Well-preserved and restored by recent owners, 2638 Ivan Hill Terrace sits up from the street on a 6,397 square foot terraced lot located in the Ivanhoe School District of Silver Lake. 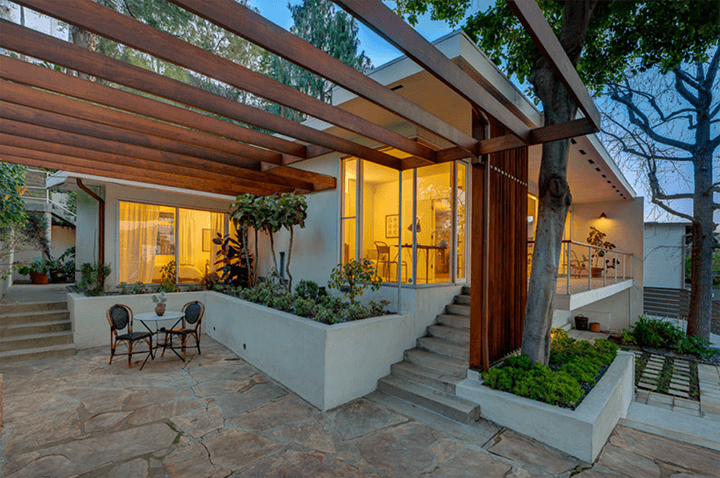 Inside, this midcentury gem holds three bedrooms and one and a half bathrooms. 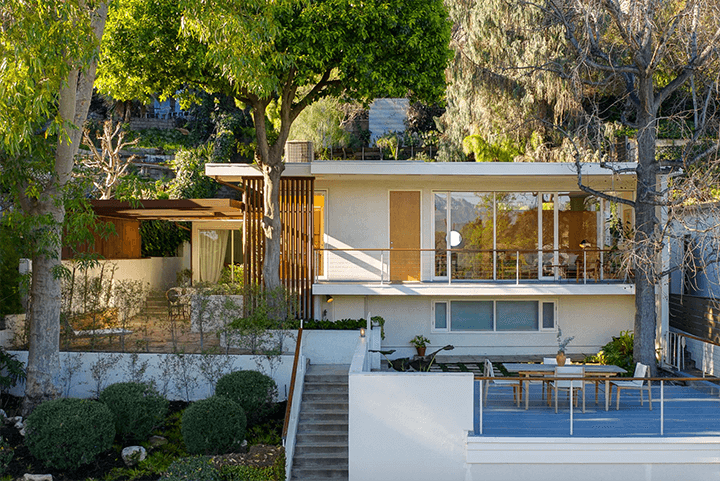 All 1,153 square feet of living space is anchored by simple lines and thoughtful details making it a prime example of California modernism. 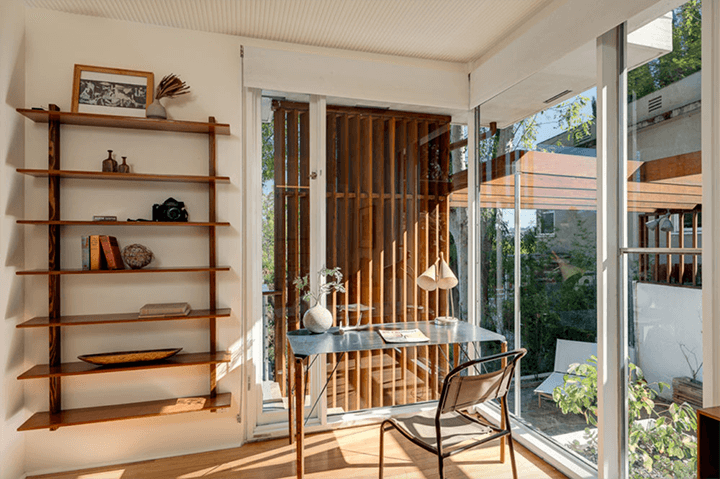 Lustig used an open floor plan to create an inviting connection between rooms as well as a seamless flow to various outdoor spaces through walls of glass and intersecting Redwood trellises. 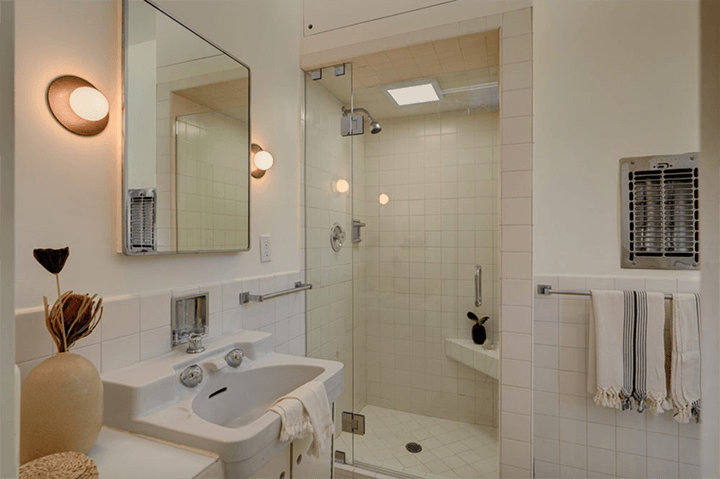 Classic architectural details include wood floors, beautiful redwood built-ins, and the tiles on the bathroom floor. “They used to exist in only one place: on the facade of the Beverly Carlton Hotel, which is now called The Avalon and which Lustig also designed” said one of the former owners. 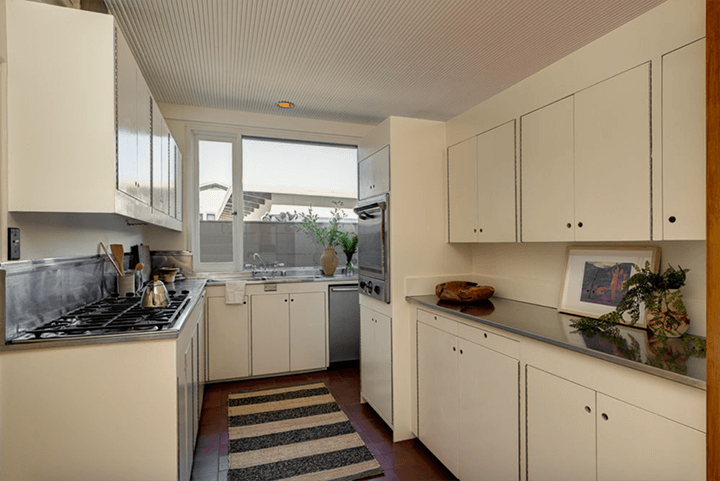 There’s also 300 square feet of bonus space below the house with a separate entrance. 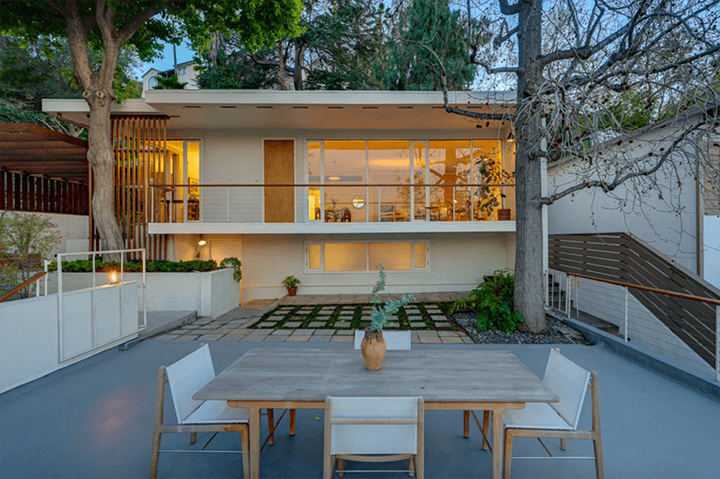 Unknown and unpublished until recently, the home is a rare opportunity to acquire a historic work in one of LA’s most coveted neighborhoods. Last sold in 2017 for $1.395 million. The home is now listed for $1.475 million. 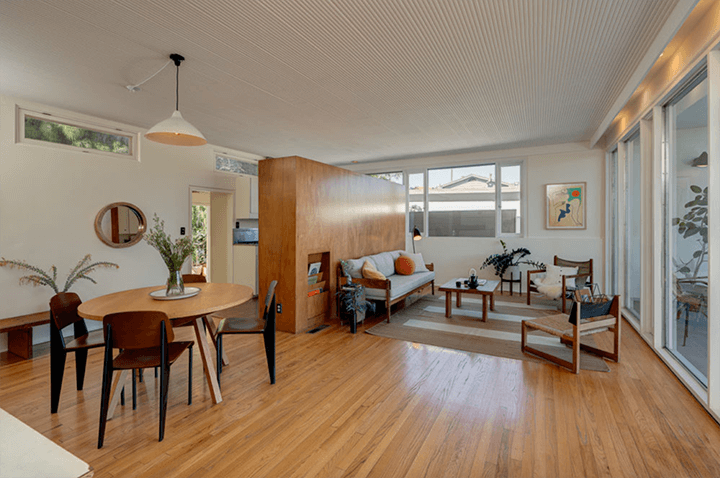 Interested in seeing the Thomas House by Alvin Lustig? 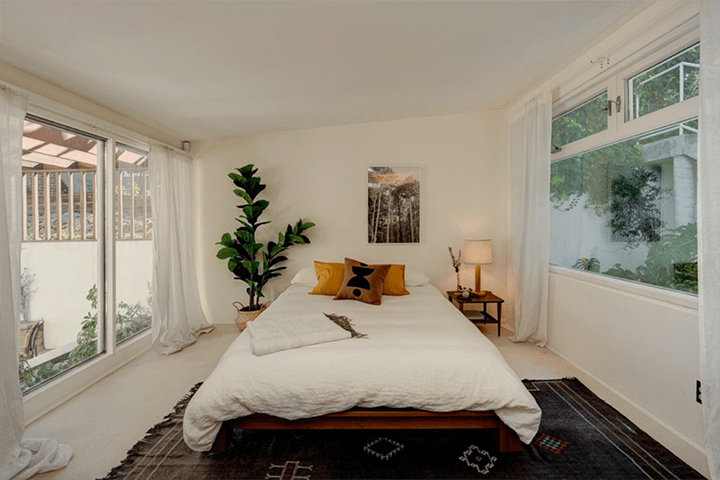 Get in touch by email or call (323) 829-4440 to schedule a private showing.